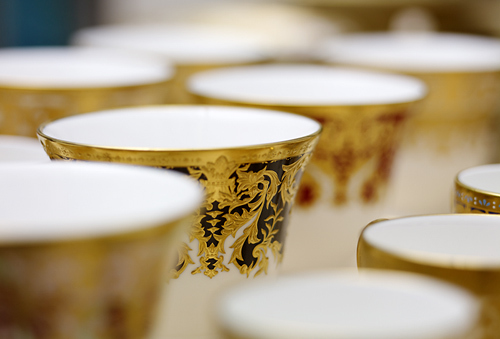 Recently I was commissioned to photograph some truly stunning bone china for Lynton Fine Bone china. The company based in Derby produces incredible place settings, cups, vases and other bespoke pieces. Everything is made to the customer’s specifications, many items costing thousands of pounds each. The company employs a team of enthusiastic highly skilled staff who have spent many years learning their craft. You can see from the photos of their products that they are not the type that can be purchased from the ‘local’ store. Their client’s list is long and prestigious from Royalty to billionaires.